Welcome to our first-time special edition review of one of our annual Forums. For easy reference, we've filled this edition with photo gallery links, scholarship news, Forum feedack, Forum DVD order information, and presentation links. We invite you to browse at your leisure, download the presentations, and continue to ponder the possibilities of learning together and working together, all with appreciation for boundary-less thinking. For those readers who attended this year's Forum, we invite you to reminisce and even consider contacting someone you met at this year's Forum. 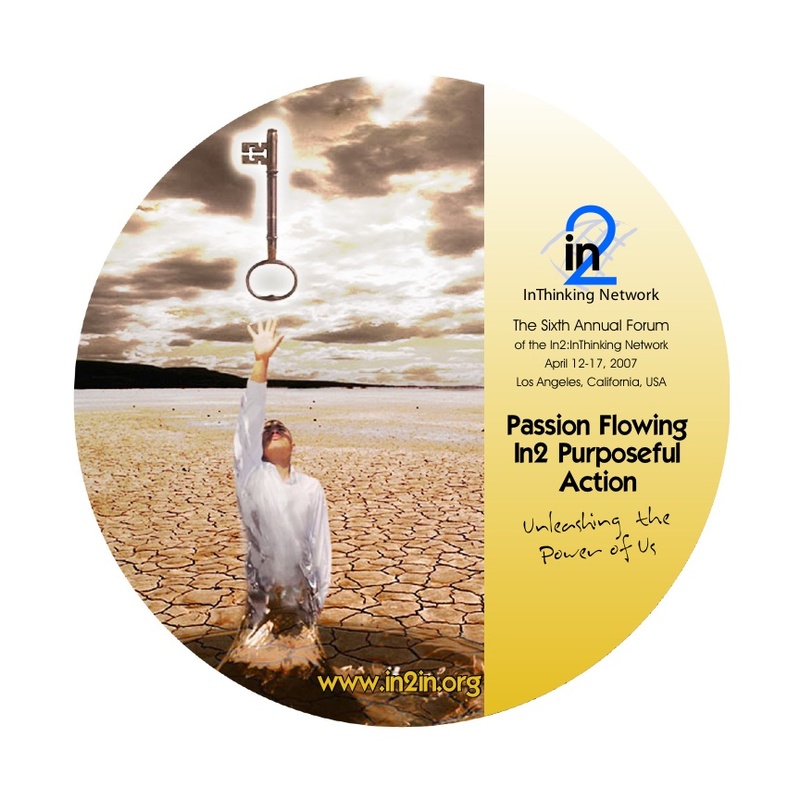 We invite all of our readers to mark your calendar to join us for our seventh Forum in 2008. Current details follow below. Our weekend conference featured 4 keynote presentations, plus six triple-track (parallel) sessions, filled with insights on topics ranging from Believing You Belong to Wiki's and the Wiki Way to Mindful Learning to Which Way Ought I to Go From Here, each focussing on transformation and leadership - our favorite Forum topics. Final copies of all of the conference presentations are now available for downloading on our website. Follow this link to find these files. This year, we offered 14 pre- and post-conference seminars and workshops. Special thanks to all of our presenters for donating their time, energy, and insights. This year's topics ranged from Six Action Shoes to Facilitating Agreement to Creativity Beyond Thought. All seminar and workshop handouts are now available for downloading from our website. Follow this link to find these handouts. The In2:InThinking Network has a proud tradition of awarding various kinds of scholarship assistance to bring some individuals to the Annual Forum who might not otherwise be able to attend, or who perhaps would not be aware of our Network. Initially, our Board of Directors gave one or two scholarships each year to cover the registration fee. Occasionally, individuals contributed to this pool of funds, as well. A few years ago, a beloved colleague, Van Bowen, contributed funding to bring a college student to the Forum. Upon his death in 2004, we created the Van Bowen Scholarship in his memory. 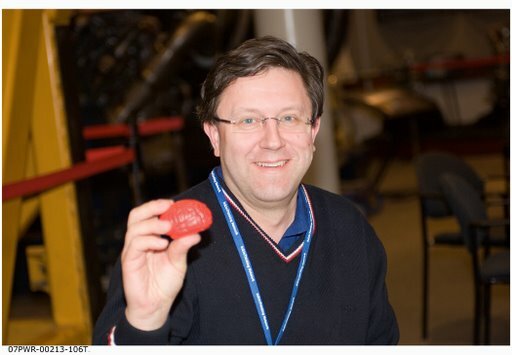 A similar degree of funding was pooled together to create a scholarship to honor another beloved colleague, Oscar Mink, upon his untimely death, also in 2004. 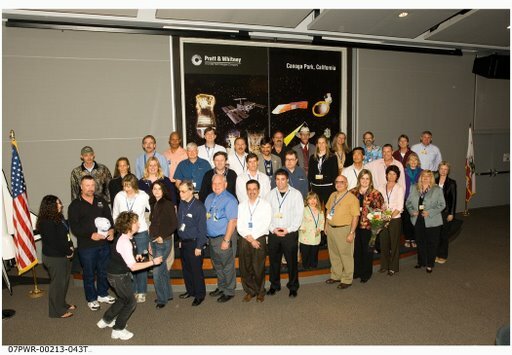 In 2006, we established the Russell L. Ackoff Scholarship, which is funded annually by a donation from Metalex Manufacuring, a supplier to Pratt & Whitney Rocketdyne in Cincinnati, Ohio, whose founder and president is Werner Kummerle. Werner and his family attended the Forum in 2006. The Ackoff scholarship is very exciting for us because it honors a long-time contributor to systems thinking and supporter of our Network, Dr. Ackoff, and it allows a Forum Partner, Metalex, to show leadership through their appreciation for what our Network is trying to do. The 2007 Ackoff scholarship was given to Dr. Rennie Methuen, a dentist and a friend of the Network from Varkaus, Finland. He works at the Department of Health Care, which is in the Ministry of Health. With scholarship funding, we were able to cover nearly all of his expenses for attending this year's Forum. Rennie learned about the In2:InThinking Network from colleagues at the UK Deming Forum in 2005, where he met Bill Bellows and Alan Winlow. 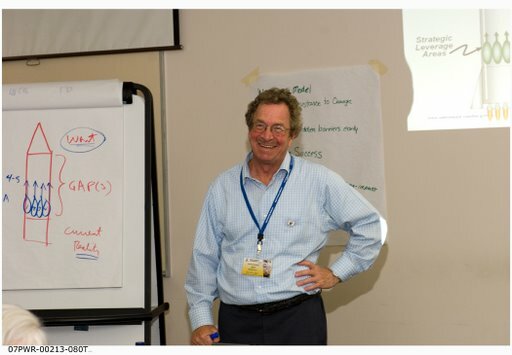 Rennie made the most of his 12-day trip in April, coming early for the pre-conference seminars and workshops and attending the post-conference Enterprise Thinking (ET) seminar, as well. Since returning to Finland, Rennie has shared his reflections and described how his perspective and thinking have shifted. He has noted that he now feels different in relation to his job and coworkers and family. He was particularly enthusiastic about his experience in the ET seminar. Rennie says this class "opened up a new window for me, or gave me a new pair of glasses." Also, "One of the best things I got and brought back with me was a sense of hope." We look forward to Rennie's return in 2008. A few months before the 2007 Forum, the In2:InThinking Network had the wonderful good fortune to establish a second major annual scholarship. This scholarship is funded by a new friend of the Network, Pratt & Whitney Rocketdyne supplier Spincraft, located in North Billerica, Massachusetts. This scholarship is designated the "Community Service Scholarship." According to Len Paolillo, Vice President of Operations, Spincraft wants this scholarship to help establisch connections between the Network and individuals doing important work in their communities. The idea is that both can learn from each other. The recipient of the 2007 Community Service Scholarship sponsored by Spincraft is Vinte Clemons. With scholarship finding, Vinte attended the Forum with long-time community activist Tony Wrice. Vinte read an original poem called "One Life to Live", collaborating with Tony in one of the Forum's triple-track presentations on Saturday afternoon. Vinte is from West Philadelphia and lives in a section of the city called Mantua. He is a student at Cheyney University, the oldest Historical Black College in the United States. He is not a stranger to community activism and is vigorously involved in numerous activities focused on improvement of the urban community. For example, "Da Bottom United" is a movement for the people who care about the urban community or call Da Bottom their home. 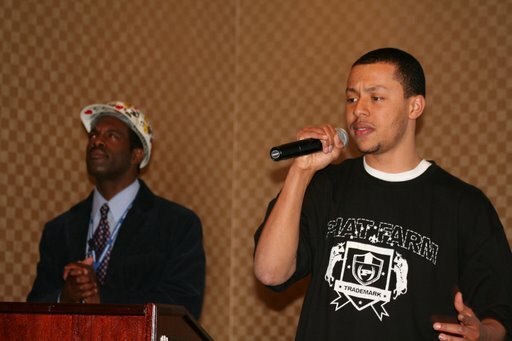 June 23, 2007 will be the beginning of a Movement for Change led by the people of urban communities. It will be in the form of a Community Awareness Event called "Da Bottom United". The event will be held in the Mantua area of West Philadelphia also known as "Da Bottom." It was created by Vinte Clemons and Team United, which is a group of people who represent Da Bottom. The purpose is to unite communities and bring awareness about different issues that affect its inhabitants: HIV/AIDS, violence, finances, drug abuse and lack of community input in neighborhood development. Vinte also presented at a 2006 conference called "Keeping it Real: Street-level Intervention Strategies for Addiction, HIV/AIDS, and Hepatitis C", held at the University of Delaware. On this occasion, he and several colleagues presented a session designed to demonstrate the power and excitement of poetry and spoken word: "Rhyme or Die: Ways to Use Hip Hop Poetry for a Better Quality of Life." The Forum Planning Team thanks Len Paolillo and his team mates at Spincraft for the funding that led to Vinte's participation in this year's Forum. We asked Forum attendees to complete an online survey. A sample of their replies follows below. If you've not yet completed our participant survey, we invite you to do so now by following this link. Question: Why did you attend the Forum? � But seriously, there are far too many reasons for me to enumerate here. I'll give you a few, though. I went to meet John Pourdehnad; to see the many friends I've made from previous Forums, and to enjoy some wonderful meals with them; to share some of what I've learned over the years and to learn more." � New thinking. New networks. � Had heard about it since its inception, and knew Bill Bellows, wanted the opportunity to attend to learn and finally had a chance to do so. � Continue learning about areas/subjects not covered elsewhere. Great price point. Great friends, locals as well as international. Also wanted to learn how to better "flow passion in2 action and unleash the power" of group I'm a member of. � To continue my learning about systems thinking and how to work more effectively with my systems. � Because I enjoy the interplay of thoughts and thinking. Also, I was part of the Forum Planning Team. � To get ideas, to explore new ways, to improve my thinking. � To learn more about systems thinking and the In2:InThinking Network. � Because it is fun!!! Question: What was important to you? � Everything was important to me; even the meals. However, what I really cherish is the opportunity to spend time with a bunch of fairly like-minded people in the pursuit of truly useful knowledge. That's my platitude and I'm sticking to it! � The people who attended were very special. I wish to be connected with them. 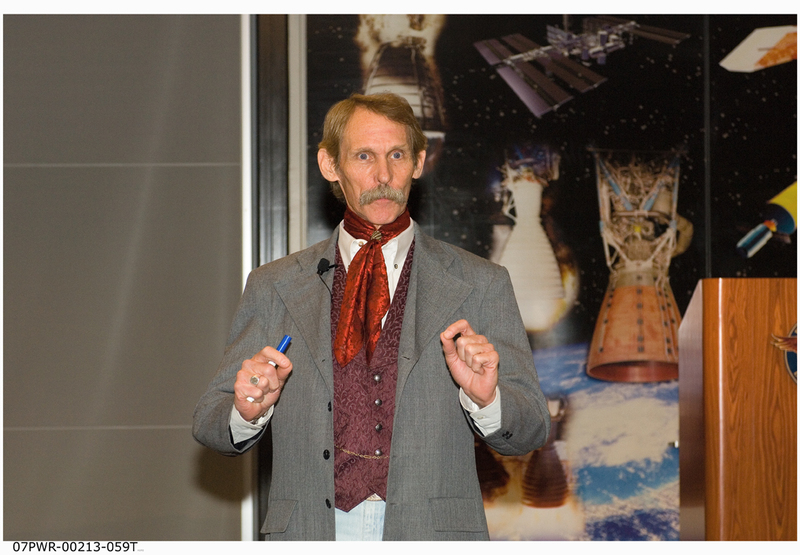 � Just being at Rocketdyne and meeting all the different participants was fascinating. � I really wanted to make sure that the audience felt the passion that was generated in the room. � See question 1, also continuing to broaden my perspectives by seeing more of what I wasn't. I want to learn more, enough to bring back to my organization and teach others. � The diversity of the speakers and participants. � Learn how to take the theory into practice with Volunteer groups. � Discovering something that I could take back and apply in my career. Question: What would you have liked to have seen at the Forum? 1) If Systems thinking is so great, then why isn't readily adopted by the system? What are the roadblocks? Why do they persist? What do organizations/people do to successfully address them? 2) More information on the effectiveness and pit falls of division of labor (1+1 = ?) Data and studies would be good on the ramp down and ramp up time of transition v. divisional labor. 3) More enabling IT solutions and tools that support systems thinking e.g. the wiki was great. � More great people. More younger people. � It was great as is. � More interaction with the audience. � I loved what I saw. I think the only thing I would have liked to have seen more of is the small sidebar discussions, seems like they were more in depth last year, but could be because it was my first year. � More. I always have trouble deciding between the competing sessions. � Couldn't think of anything else, other than more time for more presenters or the triple-tracks doubled up to be able to hear more than one topic. � Maybe more Q&A type sessions. � Workshops the focused on solving real world problems with new tools and expert help. Question: Did you experience any "a ha" moments or special connections during the Forum? If so, please enter comments about your experiences below. � As much as I have been a proponent of using Wikis, Ann Majchrzak's Keynote presentation on Saturday morning opened my eyes to the possibilities of "The Wiki Way" even more. � I solved a conundrum I didn't even clearly knew I had! I realized that assumptions are upstream of values in people who have not consciously looked, while the opposite is true for those who have. � Several important new connections occurred. I enjoyed the music and the learning that can occur during practice. � I really enjoyed the "humor" in some of the presenters presentations! � "There are 4 personality types, Variation exists! � Psychology behind change, never seen that anywhere, great insight, including a similarity to the grieving process-a different kind of change. � Impact of straightening out the spaghetti into neatly organized rows....also made organization less functional"
� During Bob Pratt's presentation his comments about individual responsibility and how that relates to the interconnectedness of our systems. � My "a ha" moment came during the Saturday post-lunch keynote by Paul Morgan. It was that we make the world the way we want. � "I had many ""nuggets"" of ""a ha"" moments. Besides the ones I previously mentioned the Practitioner Panel provided a good culminating moment for many others. � Belief values are the core of the Profound Knowledge of Deming. Creating change requires Trust. � Create the Vision for others to attach themselves to. Question : Please provide any other comments, feedback or thoughts you would like to share with us. � Great job by the organizing committee. � The "Passion" was flowing throughout the whole weekend forum. Our 2007 Photo Gallery is now ready for prime time. Enter the gallery through the photo to the right to see, or relive, many of the special moments from this year's Forum. Mark your calendars and start planning now to join us for our Seventh Annual Forum, to be held in Los Angeles on April 17-22, 2008. While we cannot yet confirm the theme for 2008, we can confirm the registration fee ($350). Check our website and monthly newsletter for regular updates on our plans. Once again, we'll work together on a Forum design that enables our members to come together for six days of working, learning, and thinking together - to create a better future - for individuals, organizations, and the world at large. One detail we can reveal is that our 2008 Forum brochure artist will be Scott Lennox, who we met as a co-presenter at this year's Forum. Another confirmed detail is that Sheldon Rovin will lead next year's In2:InThinking Networking session. Special thanks here as well go to Conrad Tiu, our 2007 Forum brochure artist for granting us the use of his compelling photograph. For the fifth year in a row, we contracted with Kid Flix, the after-school video services team at Placerita Junior High School in nearby Valencia, CA to videotape our entire (weekend) conference. Once again, a job well done by Paul Kass and his Kid Flix "CREW". Their footage will be converted into our final DVD package by Dave Nave & Associates. The package of 10 presentations, including the after-dinner entertainment by taiko group On Ensemble, sells for $150. To order, follow the link from the DVD image to the right. With all of the master DVDs now on hand, Dave is preparing the first DVD orders, due to ship within 2-3 weeks. If you could not join us, here's your chance to find out what you missed. If you attended and want to revisit or share the memories, Dave is ready to fill your order.